I am not okay…. days after finishing the finale to this AMAZING adventure I am still not okay. As fantastic and thrilling as the series has been I will miss the hilarious power couple that is Charley Davidson and Reyes Alexander Farrow. Hopefully that is not truly the end as we do have Beep prophesy to deal with, a spin-off series perhaps? The ending to the previous book, The Trouble with Twelfth Grave, was a doozy specifically not knowing how the series will pick up as our beloved rule breaker Charley is cast off into alternate dimension in punishment. As the series revolves around her there is no way to truly exile her and that’s what we get when she comes back into tender loving and angry arms of her husband. However, things are not great in Charley-verse because the god glass that kept the hell dimension is now overtaking the city and people are experiencing “strange effects” because of it. That being the shadow monsters are possessing people. Time is seriously running out to save the world from the spreading of the hell dimension worldwide and the gang must put on their thinking caps to stop it. If that is not a serious enough matter to deal with, Charley in her typical Charley fashion picks up a case. Girlfriend still doesn’t understand the concept of spreading yourself too thin to put out all the fires in the natural/supernatural worlds. While coffee surely helps her, her ever watchful husband, and her hilarious entourage must make plans to save the world. In the end we get many of our questions answered and even answers to the questions we didn’t even know we had. Big revelations and heartbreaks is all the rage in this book. 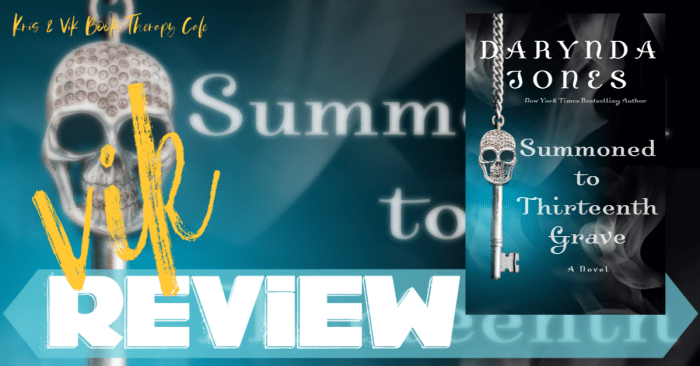 Darynda Jones finished off the series and does it justice, but again I am still not ready to say good-bye… but we must… we must give Charley and Reyes the happy ending that they deserve. Adieu… for now?